Revamped Too is largely a compilation of various tracks from Tim Bragg’s back catalogue but also features some brand new recordings plus previously unreleased material. Tim Bragg is a talented and engaging multi-instrumentalist who has composed an impressive body of work comprising several albums that range from protest folk to jazz-rock to pop ballads with an obvious Phil Lynott and Thin Lizzy influence. He is also a novelist who has covered such genres as science fiction and political social commentary in works such as “The White Rooms”, “The English Dragon” and “Oak” – themes that have also inspired an earlier album “Fields of England”. Three tracks from this album (which is due for a revamped release in 2013) are featured on Revamped Too: “Rock the Boat” concerns political-correctness; the gutsy “My Family” and my favourite track: “England’s Seal”, a brilliant Marleyish piece of reggae “agitist” reflection. The album is impressively produced and mixed with a highly attractive cover and features a wonderful assortment of various well-crafted contributions by various musicians – although Bragg at times performs most of the instruments. There is also a rockier cover version of Phil Lynott’s “Kings Call” and a country-rock version of Little Feat’s “Willin’”. Other tracks to look out for are “Sometimes” (which opens and closes the album with different versions) and “These People” (a reference to those folk who wreck other people’s lives!). An instrumental album “Crossing Over” concerning spiritual themes and exploring the human predicament of death has been recorded and awaits release sometime in 2013, plus the aforementioned revamped version of “Fields Of England” (a work that demands more recognition). Bragg’s move to France has certainly given him a warm objectivity, Buddhist-like detachment and inspiring artistic perspective in the composition of his music – informed as it is by his writing and philosophical insights particularly concerning his former native land. He delivers these songs with heartfelt conviction and integrity. They come from a real place but as someone once said “a prophet is without honour in his own country” (how sadly true of Bragg). Nevertheless this compilation expresses a freshness and positivity rich in soul and genuine creativity, a work that is topical, relevant and delivered with a gritty rustic realism but shot through with warmth and compassion. FOR TEN YEARS Flux Europa – “dark music and more” – provided an alternative review of art, books, films and music. It seems that the initial inspiration for – and direction of – Flux Europa was provided by Tony Wakeford (1) of Sol Invictus fame (2). The site was created by Rik and launched in October 1995. However, it ended active publication in April 2005 and sadly now only lingers on as an archive. This is a great pity. It carried excellent reviews of both mainstream artists – such as All About Eve (3), Gary Numan (4) and Soft Cell (5) – and relatively unknown bands like Death In June (6), Inkubus Sukkubus (7) and Minimal Self (8). Although it modestly describes itself as “an arts zine” it really is much, much more. However, it also features books, films, personae, miscellany and a massive links section. Although it’s been archive site for six years, we’ve noticed that these sometimes have the habit of suddenly disappearing. If this happened to Flux Europa it’d be a real tragedy. Many of its reviews and articles are timeless. As such they deserve to be syndicated out – to reach as wide an audience as possible. With this in mind we hope to reproduce as many articles as possible from Flux Europa, to whom we give our acknowledgements. As these reviews are fairly old, we apologise in advance for any inactive links. We’ve also had to change some of the pictures used to illustrate a few articles as the originals weren’t as clear as we’d like. 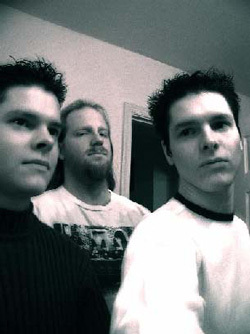 The 15 Delights of Dionysus (Mike Bull, and Mark and Michael Riddick of The Soil Bleeds Black) emerged from a desire to explore “fringe consciousness and the bizarre in art & sound”, and the group has had several releases on “obscure underground labels”. This one is via Michael’s own Fossil Dungeon and features industrial-ambient and electronic samples but nothing too harsh. I particularly liked the heavily reverbed sixth track where a sort of dark Kraftwerk meets Dead Can Dance. Excerpts from this CD were featured on a Discovery Channel documentary about ‘Sleep Paralysis’, Alien Abduction: The Mystery Unraveled. Dramatic and menacing percussion, celestial choirs and neoclassical piano characterise Aardia’s debut MCD of film soundtrack music. It’s composed by Patrik Söderlund and Daniel Johnsson and reminds me of those historical epics that my grandmother took me to see as a child, although the actual musical inspiration here is Fabio Frizzi, Carl Orff and Ennio Morricone rather than Cecil B de Mille. One rather suspects that the fellow Swedish project, Arcana, and the American neo-mediaeval project, The Soil Bleeds Black, have also had some influence. On the literary front Aardia cite Lovecraft, Poe and Tolkein as inspirations. In an attempt to sound literally like a film soundtrack, ‘The Summoner’ begins with a Mediaeval convivial, while ‘Call To Arms’ features whinnying horses and the sound of mortal combat. Incorporation of ‘historical’ SFX and other material always treads a fine line between the convincing and the kitsch. I think Aardia get away with it, but I tend to feel more comfortable with the other two, less literal, tracks. ‘The Wandering’ is percussive enough, but generally less epic in scope and features female vocals by Maria Carström. I think the best track, however, is the title one, ‘Fairy Tales From Beyond’, which has the dramatic neoclassical qualities of the first two without the SFX. 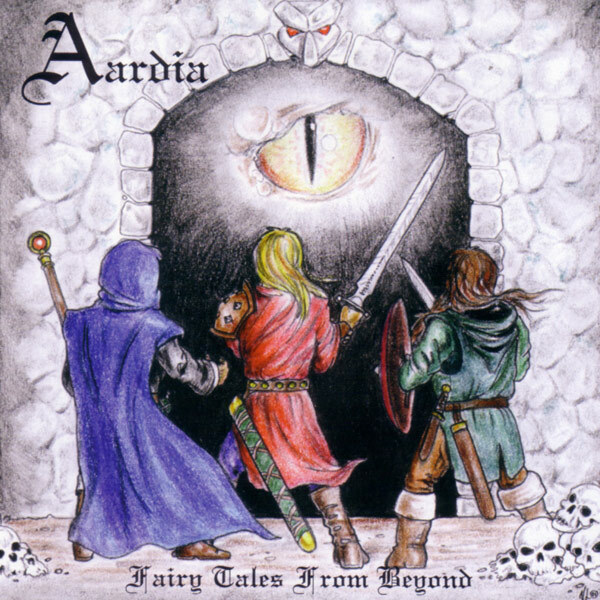 The recording can be downloaded free of charge from the Aardia MP3 website, although you may prefer to own the CD replete with Tolkeinesque artwork.